“La Mesa Beautiful is an important organization, small but mighty,” said La Mesa Mayor Mark Arapostathis. La Mesa City Councilmember Guy McWhirter agreed. “It helps our city that people take pride in their own property as well as in the community,” he said. At the luncheon, La Mesa Beautiful President Sharon Fitzpatrick led the attendees in the salute to the flag and then began the program. The award for best design in a single-family residence went to Julie and Jeff Jones. “We live just up the street from the Community Center, and from our back yard we can see the Porter House, which give us a great historical context,” Julie Jones said. Neighbors of the Joneses, Richard and Joann Cando received the award for best use of color in a single-family residence. The Candos’ property boasts a wealth of succulents. Meg and Ben Travis received the award for best design and low water usage in a single-family residence. Their house is on a large hill, which they have adorned with drought-tolerant flowering trees among decorative gravel. A pathway meanders down the hill in their front yard. For use of best color and low water usage, Linda and Joe Morse received the award. “We took a lot of lawn out and used all sorts of creative touches, such as a tractor and boulders,” Linda Morse said. Craig Ghio of Anthony’s Fish Grotto received the business award, sponsored by the Ornamental Horticulture Department at Cuyamaca College. The University Avenue Revitalization received the Public Agency award for its reconstruction project of the avenue, with particular attention to handling of the storm water. 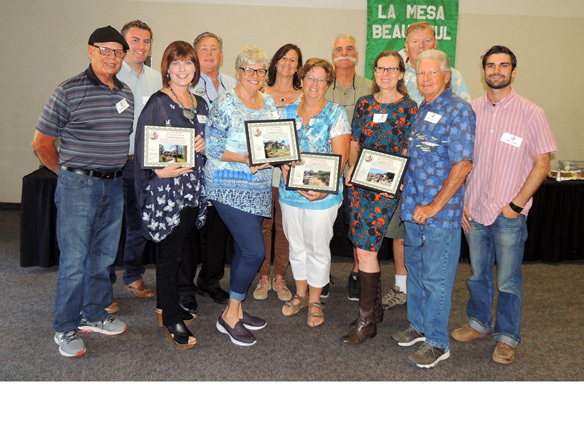 For the first time this year, La Mesa Beautiful partnered with La Mesa Historical Society to choose a winner for the La Mesa Historic Home Landscape Award. Rachel and Rolando Flores, proprietors of the 1911 Orien W. Todd House, received that award. The Flores have the official La Mesa flower on their property—the Barbara Karst Bougainvillea, the familiar magenta-colored flowering bush that adorns many residences and businesses all over La Mesa. The Orien W. Todd House is reminiscent of a Frank Lloyd Wright prairie-style house, situated at Mt. Nebo. Mary Todd had helped start the first Easter Sunrise Service held at Prospect Point, which eventually became so popular that it was moved to Mount Helix. The Todds were close friends of Kate Sessions, who is considered the mother of Balboa Park. Together, Sessions and Mary Todd had worked to educate people on landscaping with drought tolerant plants. The final award winner this year for La Mesa Beautiful was Joan Martin, who received the Citizen of the Year Award. Martin was completely taken aback. “Thank you! This was a complete surprise,” she said, as Arapostathis handed her the award. Two sponsorships were given this year, one to Cayla Cornejo, an El Capitan High School student; the other to Gregory Thayer, a Cuyamaca College student of Horticulture. La Mesa Beautiful is much more than an organization that hands out awards. For example, the members take place in the Arbor Day each year. 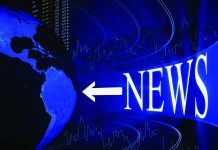 “We intend to get more schools involved in this effort,” said Fitzpatrick. 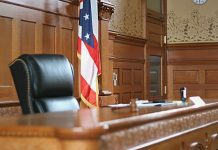 With the organization growing and laying down ever-deeper roots, more board members are needed. “We could use a few good men, too, who can get things done,” said Fitzpatrick. 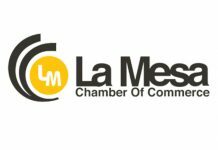 For more information about La Mesa Beautiful, go to www.lamesabeautiful.org or call 619-303-8300. Previous articleMs. Smarty-Plants goes Batty!